Installing Cambria Quartz to the highest standard. 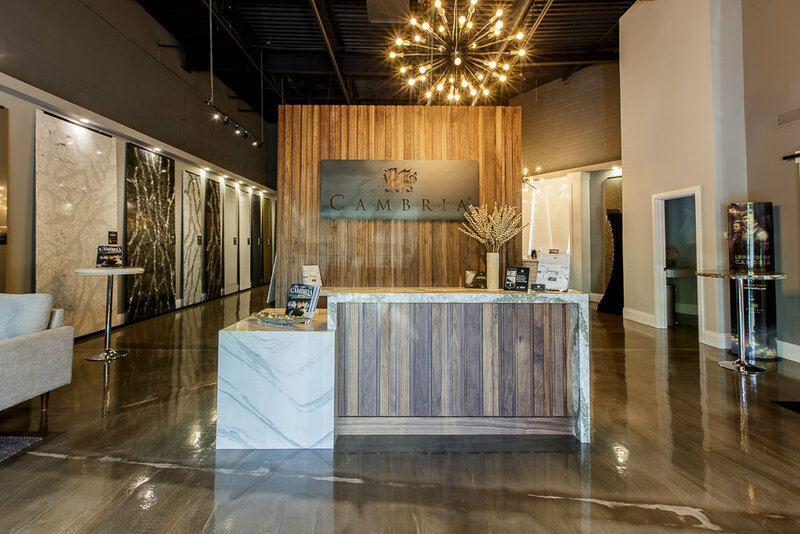 Serving Southwestern Ontario, QuartzCo is a leading Certified Installation Associate of Cambria Quartz. We work hard to provide the highest level of service to our customers to build long standing partnerships. Reach out through our contact page to start the process. Our professional, friendly staff only needs a little information to get you an accurate quote. Our knowledgeable and skilled templators will go to your site to take precise measurements of the areas to be finished with Cambria Quartz. Our team of friendly and efficient installers will ensure that your Cambria Quartz is installed to the highest standard. on display at our conveniently located showroom.